BIOLOGICAL COPY MACHINE. 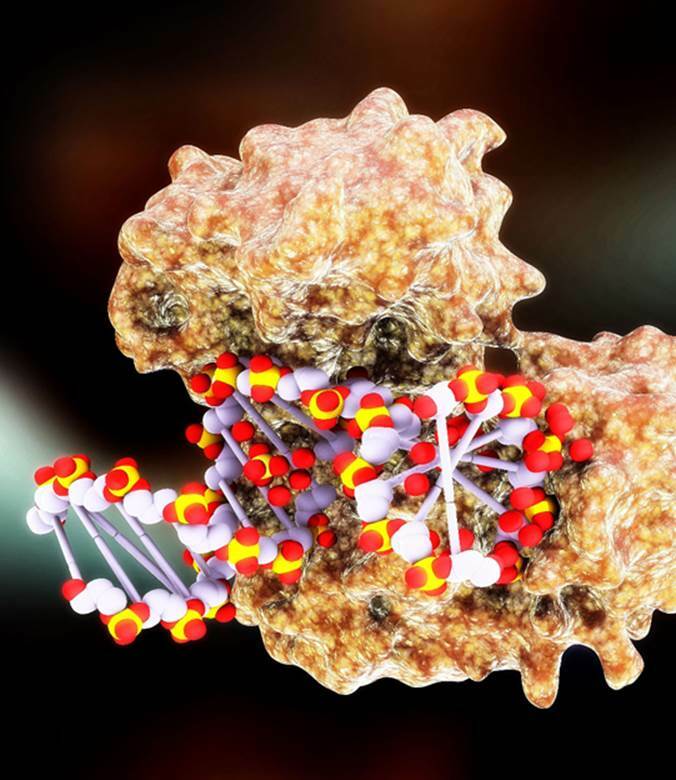 The discovery of DNA polymerase I, commonly designated pol I, is highly significant in biology because it plays a central role in the process of life by contributing to our understanding of how DNA is replicated and repaired. Prior to cell division, pol I duplicates the entire contents of a cell’s DNA. This is followed by the parent cell passing one copy of its DNA to each daughter cell; thus, genetic information is transferred from one generation to the next. Kornberg found that pol I reads an intact DNA strand and uses it as a template to synthesize a new strand, which is identical to the original strand—a process not unlike a copying machine generating duplicate documents. However, unlike a copy machine that blindly copies the document regardless of its contents, some members of the seven subclasses of DNA polymerases—such as pol I—have the ability to proofread the original DNA template, detecting, removing, and correcting errors, thereby producing a new error-free DNA strand. Other DNA polymerases merely replicate but do not repair, thus perpetuating mutations in the genome or leading to the possible death of the cell. SEE ALSO: Deoxyribonucleic Acid (DNA) (1869), Enzymes (1878), Bacterial Genetics (1946), The Double Helix (1953), Central Dogma of Molecular Biology (1958), Polymerase Chain Reaction (1983). There are seven subclasses of DNA polymerase (model shown). Some, such as pol I, engage in quality control—reading, detecting, and correcting errors in DNA prior to making a copy.